High Fashion. The most forward of our Suit separates offer. 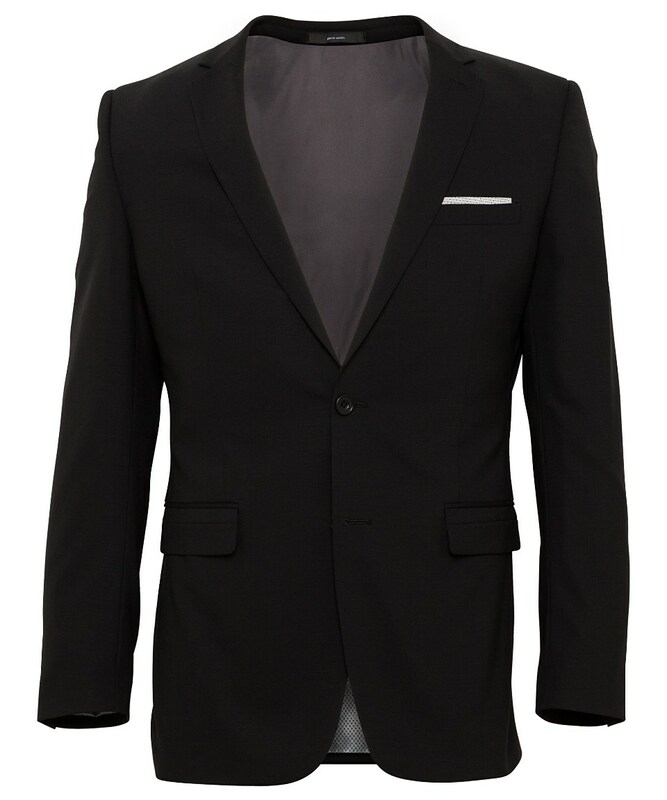 Slim Fit Jacket: Pierre Cardin Slim is a true slim fashion silhouette. It has a high armhole and short shoulder for a sleek and slim shape. The garment is also waisted but balanced with stretch fabric so the wearer still has a full range of movement. 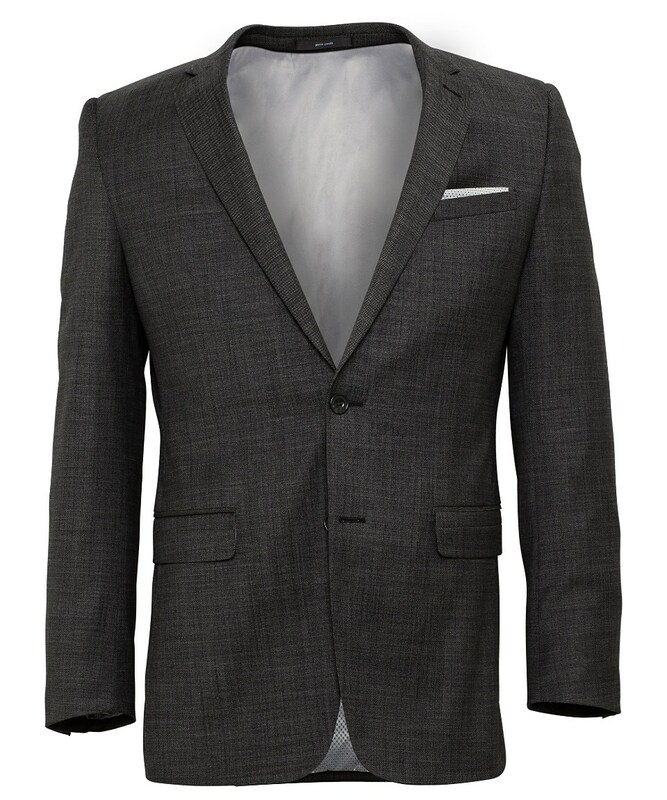 The jacket has a short body length for a stylised contemporary look. Fabric: Wool Super 100's: This superfine pure wool cloth will breathe and drape beautifully. 2 button closure and subtle trim details. 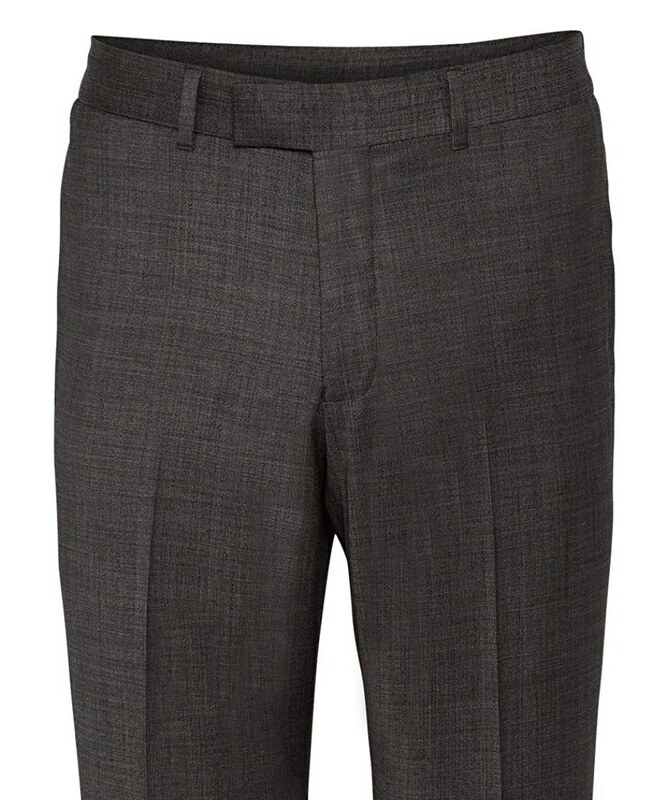 A fantastic fashion forward trouser option or matched with Charcoal Suit Jacket. 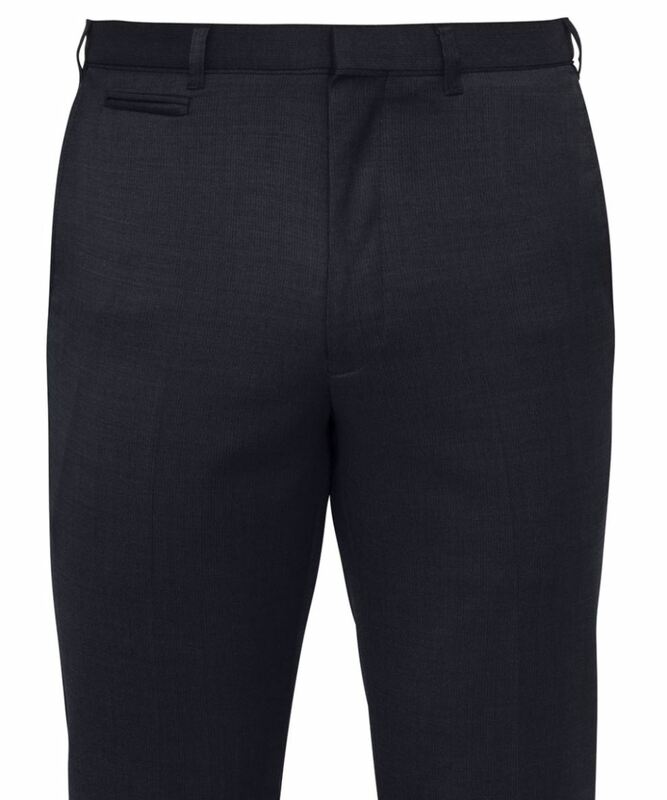 Slim Fit Trouser: Pierre Cardin Slim is a true slim fashion trouser. 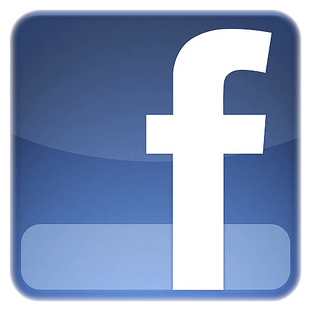 It has a low riser for a sleek and slim shape. The garment is also waisted but balanced with stretch fabric so the wearer still has a full range of movement. 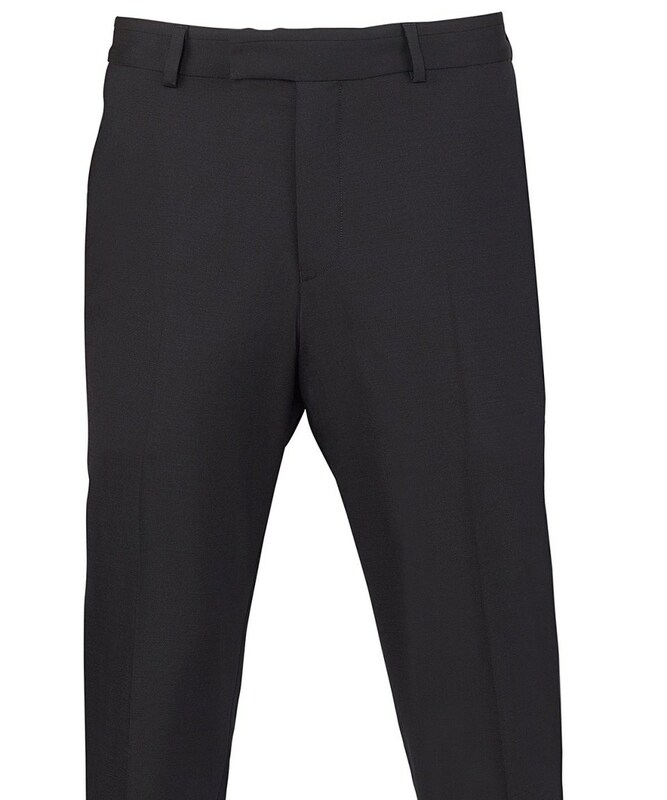 A fantastic fashion forward trouser option or matched with Black Suit Jacket. 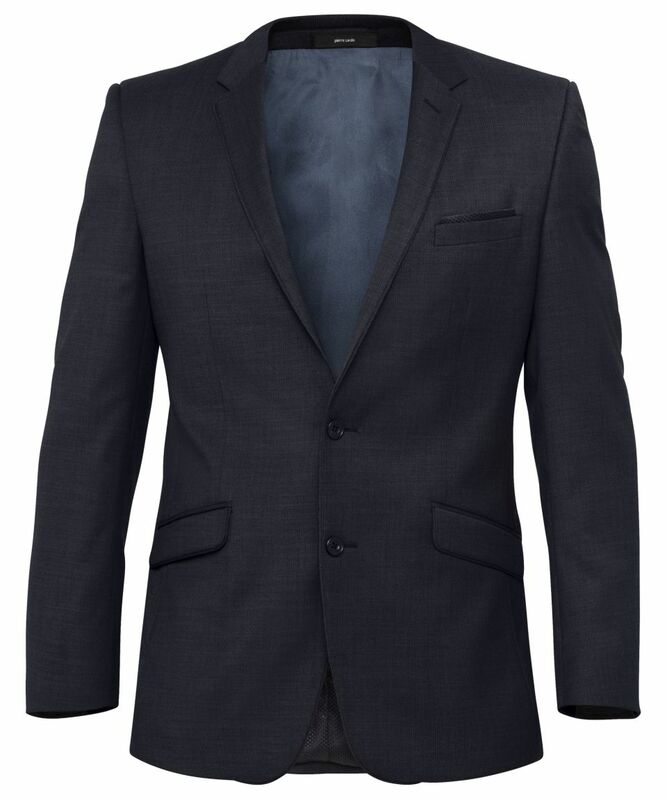 Slim Fit Jacket: Pierre Cardin Slim is a true slim fashion silhouette. It has a high armhole and short shoulder for a sleek and slim shape. The garment is also waisted but balanced with stretch fabric so the wearer still has a full range of movement. The jacket has a short body length for a stylised contemporary look. 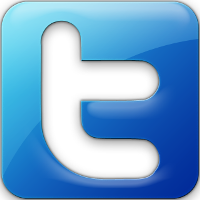 Fabric: Wool Blend This superfine pure wool blend cloth will breathe and drape beautifully. 2 button closure and subtle trim details. A fantastic fashion forward trouser option or matched with Ink Wool Blend Suit Jacket.